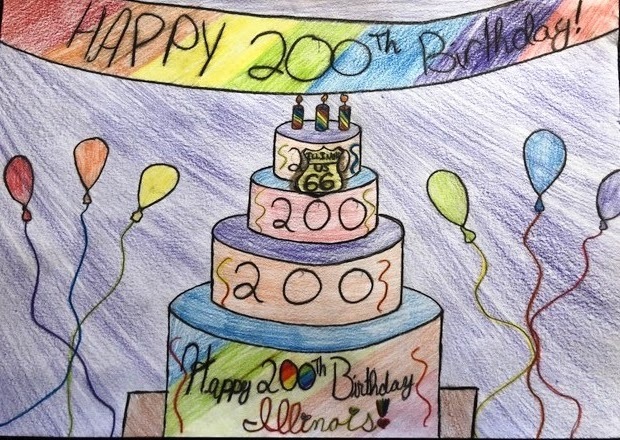 Representative Avery Bourne (R-Raymond) is proud to announce the winners of her Illinois Bicentennial Themed Art Contest that had over 150 submissions this year. 1st, 2nd, and 3rd place winners were selected in two groups; kindergarten through 4thgrade and 5th through 8th grade. The first place winners in each group will have the opportunity to attend a regular session day at the Statehouse on the day that their artwork is presented in the House Chambers. Additionally, all 1st through 3rd winners in each group will be invited to Rep. Bourne’s District Office in Litchfield for pizza.